<< Previous PostMOOCs Revolution Hits the Universities? Thanks for this post, Ana. I am a huge fan of TED Talks and TED-Ed! Personally, I think that TED-Ed is one of the most user-friendly platforms for teachers to author their own lessons. The flipping feature that you mention should prove especially attractive to FL teachers. I didn’t know about the TEDyouth conferences. Looks like the TED phenomenon keeps growing. 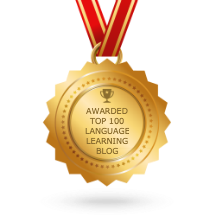 Hi Carl, indeed I hope that language teachers, particularly those involved in CLIL, will begin to upload their “flipped” lessons onto the TED-Ed website. There is great potential there! The same with TEDyouth – a wonderful way of presenting stimulating talks to younger students, AND getting them to realise that the foreign language is a means, not an end to itself! An important point that wasn’t mentioned in the post is how TED-Ed platform interfaces with YouTube. The platform isn’t just for TED videos but for any open YouTube video. And there are millions in hundreds of languages. Pretty incredible resource.